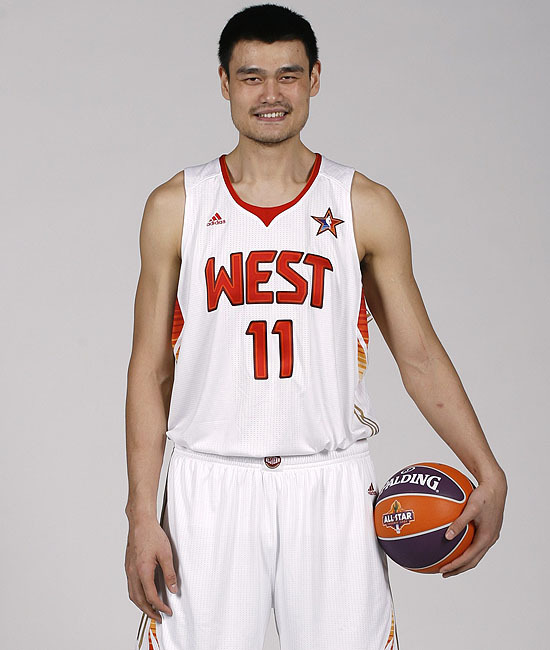 Yao Ming has decided to call it quit after 8 years in the league, 8 injury plagued seasons. When Yao broke into the league back in 2002, everyone thought he’d be a stiff. I remember watching his first game against Shaq and the Lakers and thinking, WOW, this guys is gonna be unstoppable. But I guess all that size came at a price. Multiple foot injuries and surgeries brought this 7 foot 6 inch monster down. I feel bad for the Houston Rockets, who have been on hold year after year, hoping that each year was “the one.” Now, with Ming retiring, they can finally put the Ming era behind them and move on. Not sure if Ming played long enough to be a hall of famer, but you’ll be hard pressed to find a 19 point, 9 rebound and a career 83% freethrow shooter. Happy trails Mr. Ming, it was fun while it lasted.